Inspirit Counseling Services, Inc., is a not-for-profit interfaith agency of licensed, professional therapists representing a diversity of mental health disciplines. Inspirit is dedicated to strengthening emotional and spiritual health. We provide services to individuals couples, families, and groups. We make use of the insights and resources of religious traditions and the behavioral sciences in our counseling. We serve congregations and the community at large, providing the highest quality of care at an affordable cost. Our counselors are unique in that they are able to offer a faith based dimension to the traditional psychotherapy approach. For some this is a very important aspect of the healing process; others may not wish to involve faith issues. In either case, an Inspirit counselor is a very compassionate professional who views his or her role as a minister of healing, as well as a therapist. Incorporating aspects of faith together with human behavioral sciences provides a rich environment for the healing of mental and emotional distress, and works toward the achievement of wholeness and health. At Inspirit, our therapists provide an approach to therapy, which integrates spirituality and psychotherapy in a fundamental and implicit manner, creating a safe, open, non-judgmental, caring, and sustaining environment. In this context, our clients may find the freedom and means to achieve the highest potential of well being. Through an attitude of profound respect, acceptance and care for the individual person and relationships, our clients are able to begin attaining greater self-esteem, dignity, hope and healthy, nurturing relationships. We believe, and have found, that our approach fosters deep-seated and long lasting healing, change and growth toward personal wholeness. 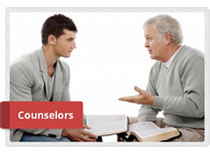 Inspirit Counseling Services, Inc. is an affiliate center of the American Association of Pastoral Counselors (AAPC) . In 2013 Pastoral Counseling Services of Maryland was renamed Inspirit Counseling Services in an effort to more accurately express our mission and identity in the community. 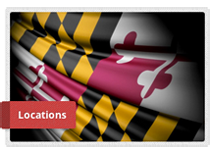 Pastoral Counseling Services of Maryland was formed in 1992 through the merger of two agencies with nearly identical missions, goals, and methods. The original agencies were formed in the 1960’s and 70’s to provide counseling and psychotherapy as part of the healing mission of the faith community, seeking to integrate the insights of the behavioral and social sciences with the wisdom of the faith traditions. We have always held a high standard of training and certification for our clinical staff, and we have made every effort to make our services both accessible and affordable to persons of every faith tradition or those who choose no religious identification whatsoever.